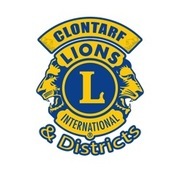 Clontarf & Districts Lions Club funraise for many very worthy causes, but I cannont think of a more worthy cause than the 'Jonathan Ranson Trust' Hi, my name is Jonathan Ranson and I am a 21 year old student from Clontarf, Dublin. Last summer while in San Diego on a J1 visa, I had a serious accident. I broke my neck after diving into a swimming pool. Due to spinal damage I am paralysed from the chest down and have impaired / limited use of my arms, wrists and fingers.After two major operations in California I retuned to Dublin, first to the Mater Hospital and then to the National Rehabilitation Hospital. Thanks to the staff at the NRH I have made great progress over the past four months, regaining greater use of my arms and fingers - which I was advised was unlikely.I am determined to push myself to the limit and these improvements are very encouraging. 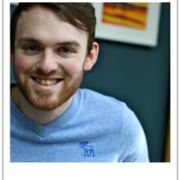 Having just moved back into my family home which is being modified for my needs, my next challenge is to return to Trinity College in September to finish my degree in Business. And will keep fighting to live the fullest life I can.